Auroville’s Institute for Integral Health is managed with the help of an amazing team of support staff from the receptionists and nurses to our invaluable Ambulance team and cleaning staff. Alok completed his schooling at Sri Aurobindo International Centre of Education, Pondicherry in 1987. During his school days, he was a volunteer in the Sri Aurobindo Ashram Ambulance and also closely associated with Auroville. Subsequesntly, Alok worked in the Andaman and Nicobar Islands for several years with environment and wildlife studies, and was a founder member of the Andaman Nicobar Environmental Team. While in the Andaman Islands, he received a training in Medical First Aid and CPR (American Heart Association) as part of his course in rescue diving. In 1999, he moved to the United States, where he studied Mechanical Engineering at Virginia Tech, Blacksburg. In 2002, while at the University, Alok was selected by the Smithsonian Institute for a series of summer expeditions to the Arctic to study climate change, where his task was to lead the diving operations for this study. For this study, he received his formal training as a Paramedic and certified Scientific Diver by NOAA (National Oceanic and Atmospheric Administration), U.S.A. 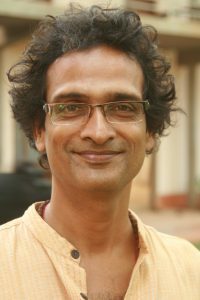 In 2005, Alok came back and joined Auroville and took up research and development work at CSR (Centre for Scientific Research). In 2012, when the Auroville Ambulance was procured, there was a need for volunteers to operate it. He volunteered to drive and take care of the technical maintenance of the vehicle with immediate effect. As of now, Alok is our Auroville Ambulance driver and a qualified Advanced Paramedic and an AHA (American Heart Association) instructor. He is involved in the training of the Auroville Safety and Security team to respond to first aid emergencies, and he continues as an indispensable participant in the Ambulance Team of Auroville. Archana joined the AV health clinic team in 2009 when it was located in Kailash Clinic, and was part of the Auroville Ambulance Service Team. 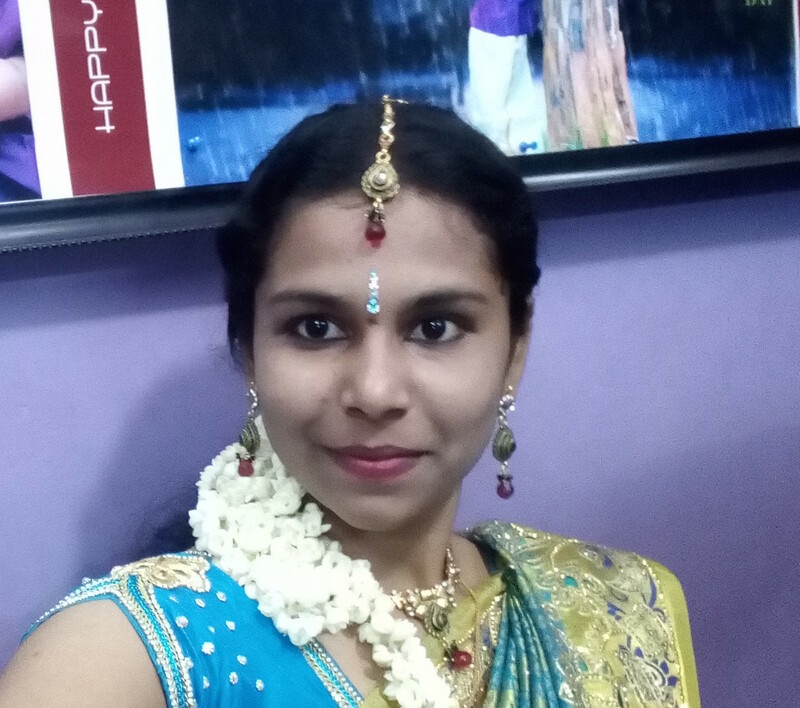 She is born and brought up in Auroville and did her schooling in Auroville and her 12th standard in Sri Aravindar Higher Secondary School in Pondicherry, and subsequently she completed her 4 year Bachelor of Science in Nursing course in SRM college of Nursing in Chennai. 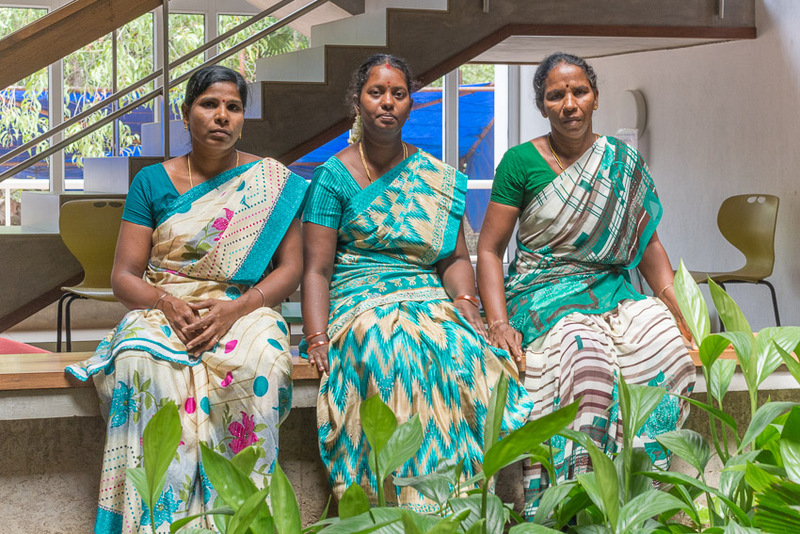 Thilagam joined Auroville Health Centre in 1992, where she worked as a nurse for 14 years, before she moved to a nursing position in Kailash Clinic. She lives with her family in Auroville and continues her service as a nurse in the Auroville Institute for Integral Health. Thilagam started in Auroville as a certified Auxiliary Nurse Midwife, but qualified herself over the years, working with various Auroville medical practitioners, in different treatment modalities. She currently helps as a nurse at the Health Institute and supports our resident midwife in the various responsibilities involved with women’s care and childbirth. Ezhilarasi joined the Santé team as a nurse in May 2017. With over 12 years of experience in nursing, Ezhil has worked previously in several private hospitals including Apollo Hospital in Chennai, Pondicherry Institute of Medical Science and Be Well Hospital in Pondicherry. Ezhil describes working in Santé as a discovery in what it means to be part of team, an experience she both values and enjoys. She greatly appreciates working with therapists and doctors offering treatments beyond the traditional scope of general medicine. 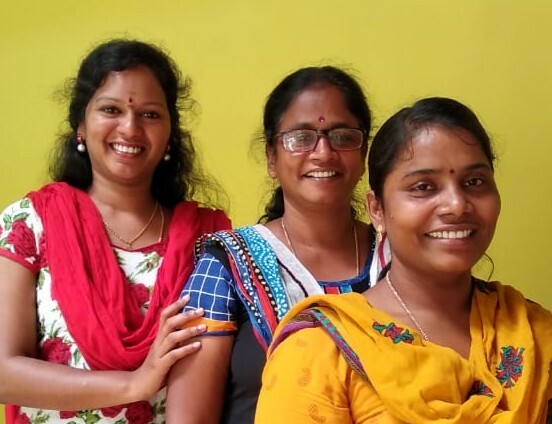 Ezhil hopes to continue to develop her skills through further training. Li Mei came to Auroville in 1976 and she has been here ever since. She was born and grew up in Indonesia, spent 6 years studying in Holland, and then found Auroville as her lifetime project. Li Mei participated in many areas of the Auroville community as it developed; working in Matrimandir, the Auroville News office, in the Pour Tous purchasing center, as an art teacher in the primary school, and for 15 years in the office of Future School, Auroville’s main secondary school. In the early days, she learnt and helped teach Bharat Natyam dance and was active in organizing performances with the Auroville children. Li Mei, along with others, began the community of Aurodam in 1977, where she raised her family, and was very active in reforesting of the area. Her passion, or rather her therapy, is art, and she is especially good at painting and making paper flowers. Li Mei joined Santé as a reception team member, when it began in 2016. Thera came to Auroville in July 1977, started working at Matrimandir, planted trees in Aurodam and worked in several services including Auroville Fund, Matrimandir, and Pour Tous purchasing centre. 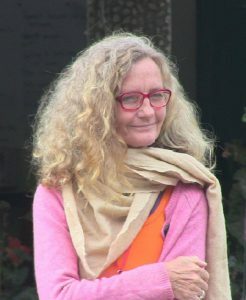 In 1988, she left India, and after a legal career in Holland for more than 25 years, she returned in 2015 to Auroville to stay. She embraces the concept of integral health in Santé and tries to offer her service to Auroville and Her Dream in the best way she can. Agila is our newest support staff member. She was born in a village in the green belt within the Auroville bioregion, and was educated in an Auroville school. Agila married recently and began to live in Auroville with her husband, and she has begun the process to join Auroville as a community member. It is wonderful to have her discover the wider Auroville community through her work as a reception team member in Auroville Institute for Integral Health. She enjoys being exposed to so many people of diverse backgrounds, nationalities and dispositions that live in Auroville. Agila says she is happy to work in Sante as a receptionist because she feels at the service of the community and it allows her to cultivate her inner being. Discovering work as an active team player is an ongoing adventure in adjustments. Ayesha first came to Auroville in 1998, and essentially stayed for the trees and the green spaces that surrounded her. She was leaving behind the loud, cement and steel environment of Bombay, where she grew up. Finally she had found her home in India. Since then Ayesha’s life has been a winding, twisted journey, but she seemed to always return to the birdsong and the fresh mornings in Auroville. Ayesha finally settled in Auroville in 2010. 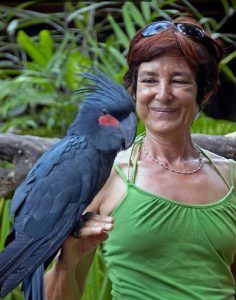 What began here as an exploration in animal care and reforestation has led to service in the school library and administration, and working in various units. Being a part of the current Santé administration team, Ayesha feels she has an ideal opportunity to interact with the wider Auroville community in a meaningful, caring way that allows her an integrated sense of both service and fulfillment. Helena came to Auroville in 1994, called by The Dream to manifest a new Way. Despite the gap between the ideal and the ground reality, she continues to actively search for ways to bridge the divide and does not lose hope. Recently, Helena came to the understanding that constant inner work with constant actions directed towards the largest vision are positively impacting her life and and her work. After joining Kailash clinic in 2013 at the reception, Helena moved to Santé with the existing team. She enjoys reception work as it is a central hub that binds all departments together like “The Heart”, there is direct community exposure and daily challenges to improve the design and the service. In integral health care, the patient is an active part in the healing process and it is gently conveyed at the reception. Sumeet is our Medical Superintendent and he is an executive in the Auroville Institute for Integral Health. He has been involved in healthcare in Auroville since 1995 when he joined the community, and is instrumental in guiding the team as we explore and develop integrated health care together. Keeping a health institute clean and cared for requires diligence and a never-ending attention to details. And that is why we are so grateful for this invaluable service offered us by our wonderful cleaning team, who also provide our teatime treats and make sure we are all well looked after.